Biologist and seabird expert, Sophie Webb, shares an up-close look at the work of field scientists in Far from Shore. 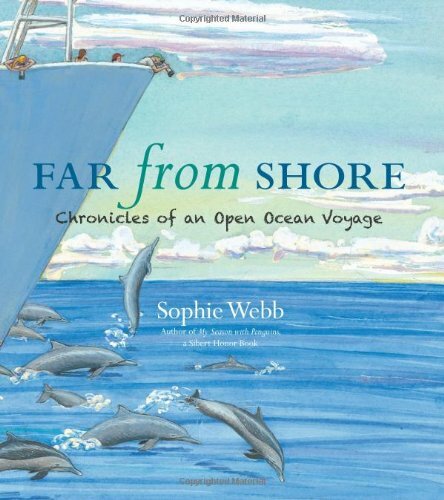 Based on her own experiences aboard the NOAA vessel, McArthur II, Webb provides readers with a first-hand account as the crew collects data on dolphins, whales, and seabirds in the Eastern Tropical Pacific. Each entry in the book provides the longitude and latitude of the ship which can be cross-checked with the map in the front of the book. The purpose of the voyage is to record data about dolphins to see if the changes in fishing regulations have had an impact on the marine mammal population. 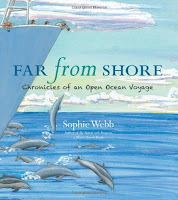 Webb brings to life the work of scientists by adding her own personal reflections and details about life on the ship. The small details that the author includes make this book a gem. Webb describes what meals are like and how duct tape is used to secure items during the voyage. Throughout out the book, it's evident that Webb has great respect for nature. "The Milky Way looks like a long, hazy cloud. When I look through my binoculars it becomes millions of specks of twinkling light. The breeze is warm and soft- truly a beautiful night." Webb not only writes the text, but she illustrates each picture, map and graph. The illustrations are fitting for the science journal format. Brilliant watercolor and gouache paints are used to illustrate creatures great and small, from plankton to whales. Detailed captions provide readers with additional facts about marine life. One impressive illustration is a full-page depicting a tuna net in the gorgeous blue waters of the ocean while a helicopter circles overhead. A two-page spread shows dolphins, mahi-mahi, sea turtles and other marine life swimming in a field of sea grass each illustration is labeled with the name of the species. An extensive glossary of scientific terms is located at the end of the book. 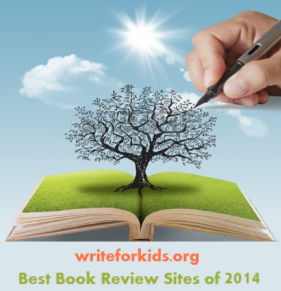 Middle grade readers and young naturalists will be attracted to this beautiful book. It would also work well as a read aloud in an upper elementary or middle school science class. It definitely deserves a place in a science collection and would make an excellent companion to the Scientist in the Field books. Hi Sophie, I have a special affinity for the sea - I don't swim - but there's just something about it that fascinates me so. I was actually wondering about the illustrations. 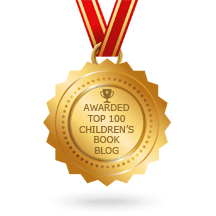 I was awed upon learning that Sophie Webb did the illustrations herself! That's really amazing. I have a keen respect for authors/illustrators. Different level of genius indeed. Thanks for sharing.